A lack of oxygen or inadequate supply of oxygen to a baby during labor and delivery can be one of the more catastrophic complications that may occur during childbirth. An insufficient supply of oxygen to a child is called “hypoxia.” Failure to recognize the signs of hypoxia or inadequate responsive actions by the attending physicians can be indications of medical malpractice. If your child is suffering from injuries or disabilities as a result of hypoxia during childbirth, the experienced Washington DC birth injury attorneys at The Rich Firm, PC can help. We can evaluate what happened, determine whether your doctors breached the appropriate standard of care and, if so, help you obtain damages and compensation. If not addressed immediately and aggressively by delivery room staff, hypoxia can cause irreparable and life-long health problems, including cerebral palsy, brain damage, epilepsy, or developmental disabilities. 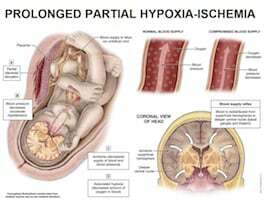 Perinatal (meaning before and after birth) hypoxia most clearly manifests itself when the child emerges from the womb and is not breathing. What steps are taken during these critical seconds can determine the fate of the child’s health. The inadequate supply of oxygen to the baby’s brain begins taking its toll immediately. Oxygen deprivation can result in cerebral palsy, a disorder that includes abnormalities of movement and posture. Additional consequences of hypoxia can include developmental disabilities or cognitive delay, or Sudden Infant Death Syndrome. Fetal heart rate monitoring and other close observation of the baby’s vital signs during labor and delivery should alert physicians and nurses to any deficiencies in the baby’s oxygen levels. 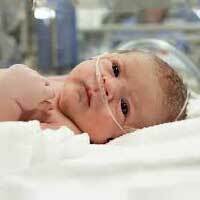 However, if the delivery room staff make criticaland fail to recognize hypoxia, the seconds and minutes that go by without appropriate emergency steps being taken can result in a lifetime of challenges for the child and his or her parents. When mistakes are made during labor and delivery, the consequences can be life-changing. Fewer mistakes are more impactful and tragic than the failure to recognize and immediately treat a hypoxic child. If your child suffers from cerebral palsy, developmental disabilities, or other conditions that may be the result of hypoxia during childbirth, we can help.